The concept of Emotional Intelligence (EI) – the ability to perceive, express, understand, and regulate emotions – is still the subject of scientific debate despite its intuitive appeal and widespread popular interest in areas such as human resources, education, and organizational psychology. This book brings together leading experts from around the world to present their perspectives on the current status of EI. It covers theories of EI and assessment approaches in depth, as well as theoretical concepts and research findings on the antecedents and consequences of EI in occupational, educational, and clinical settings. The contributions provide an overview of the empirical evidence that supports (as well as contradicts) many common assumptions about EI and its relation to other forms of intelligence. The book thus reflects the diverse approaches to finding solutions for the still unresolved conceptual and empirical problems, and offers a critical appraisal of the current status of EI. "For those seeking a clear review of past research and an unambiguous delineation of the goals of future research on EI, this book will be welcomed." "This book provides the reader with a thorough account of the current research affiliated with EI as well as background knowledge surrounding the topic.... This book is an excellent psychoeducational resource regardless of a reader's level of knowledge about EI.... The editors and authors have introduced information in such a way that it is easily understandable by the nonexpert and appreciated by the reader with prescient kowledge of EI." "...a useful handbook for researchers around the world who are interested in the topic. Researchers interested in any aspect of EI are likely to find a wealth of relevant references. The summary tables in Chapter 9 will be particularly useful for anyone looking for information concerning the broad range of measures that have been used to assess EI. The book would appear to be most useful to advanced graduate students and postdoctoral scholars committed to the scientific study of EI." "This book strives to bring clarity and coherence to the rapidly expanding literature on emotional intelligence. It is a "must read" for researchers and practitioners in the related areas of EI and social and emotional learning." "This book provides one of the most comprehensive, up-to-date, and authoritative accounts of emotional intelligence that are currently available. It reviews a wide range of approaches to understanding and measuring emotional intelligence, discussing the advantages and disadvantages of each approach. The handbook is an indispensable reference for all who study or wish to learn about the field." "...what is most helpful about this handbook is that it very quickly does what many books and articles do not do: It clearly differentiates the genuinely scientific approach to EI from popularizations. In doing so, the chapters herein hold EI to the highest standard. 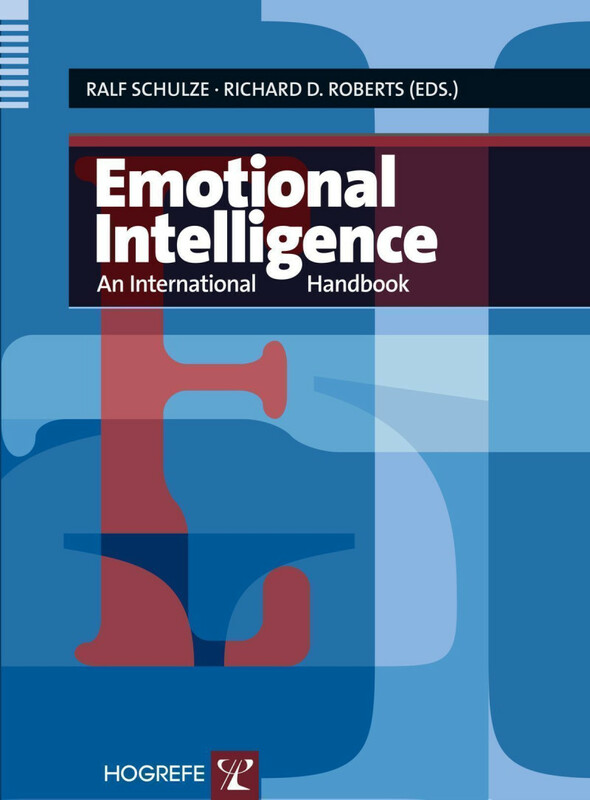 "The chapters in this handbook also place ideas about EI into the context of general theories and research pertaining to intelligence, emotion, and personality. This is more important than it might sound at first. "Reading these chapters is very satisfying and not just because so many of the contributors are friends whose thoughts about emotional intelligence I have always respected. These are thoughtful commentaries that steer the field in the right direction. They guide us clearly with respect to what we need to do next. And they make it salient that globalization has contributed to great scientific strides forward in understanding EI.